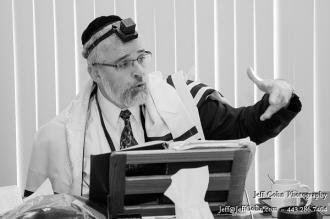 Baltimore, MD - Feb. 5, 2019 - Pesach is the Yom Tov of distinction between the Jews and their oppressors, while Purim is characterized by a blurring of distinctions. In the month of Adar, it is not so clear which events are terrible, and which are great. This difference is characterized in the dissimilar outcomes when Sarah and Esther were taken to the house of kings- while Sarah left untouched, Esther remained in the palace for the rest of her life. Although everything that led up to the Purim story did not seem to be great events for a miracle to occur, in the end, the entire situation completely turned around. This is the avodah (work) of the month of Adar-to use difficult situations to grow, and try to find the simcha even in difficult circumstances, like those of the Purim story.